Milovan Rajevac became the manager in 2008 after Ghana officials decided to part ways with Claude Le Roy, who disappointed the nation with their form in the 2008 African Cup of Nations, which was also hosted by Ghana. One interesting story about Rajevac is that he is actually Serbian and will be coaching against his own national team in the World Cup this summer. Ghana usually play a version of the 4-4-1-1 with the focal point being on two center midfielders, one center forward, and a striker up top. The squad has one of the best pairings in the center midfield position of any team in the tournament and the side also has plenty of fast paced forwards to choose from. Michael Essien makes up a huge part of the Ghana army and the Black Stars most valuable player is not fit right now and could potentially miss the event. Essien was originally hurt in the African Cup of Nations and the midfielder didn’t return for any action in the second half of the double winning season for Chelsea. Sulley Muntari and captain Stephen Appiah make up the other key players of the lineup and should join Essien in the midfield as long as the superstar can play. Ghana is probably the second best team in Africa and they hope to be the first ever African champion and this summer hosting the event in South Africa and the first time in the continent of Africa will only help the squad. They have plenty of options offensively and a Premier League keeper with plenty of experience against many of the best in the world. They aren’t the favorites in Africa, but they were the only team from Africa to advance past the first round last tournament. If Essien can’t play then Ghana’s chances go out the window. Sure the Black Stars have several other talented players, but a blow like that would potentially be deadly for the squad. Also I am not sold completely on their defense. The do have a EPL keeper, but certainly not a good one and many of their defenders are below average. Essien’s potential loss or lack of 100% fitness is enough to write them off though. Will this summer be known as The One That Got Away for the strong African squad playing in their ever African hosted Cup or will Essien and company shock the world with the likes of the Black Star Brigade. 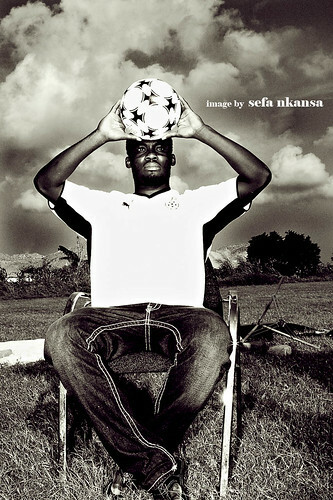 Lets hope the guy can make it back in time for the event or else it might be a brief Cup for Ghana this summer.